This custom engineered and designed nine-screen Food Court system features six food station Menu Boards, two Greeter Boards and one Wellness Board. Menus automatically display by meal period on multiple menu cycles and include nutritional menu labels representing healthy, vegetarian and vegan; animated food photography; and text block announcements. 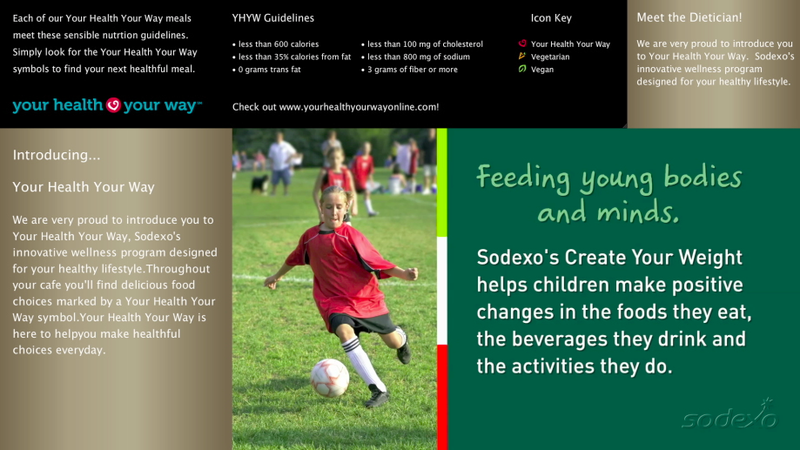 The Wellness Board features a slide show, text block announcement area, and nutrition guidelines and icons. 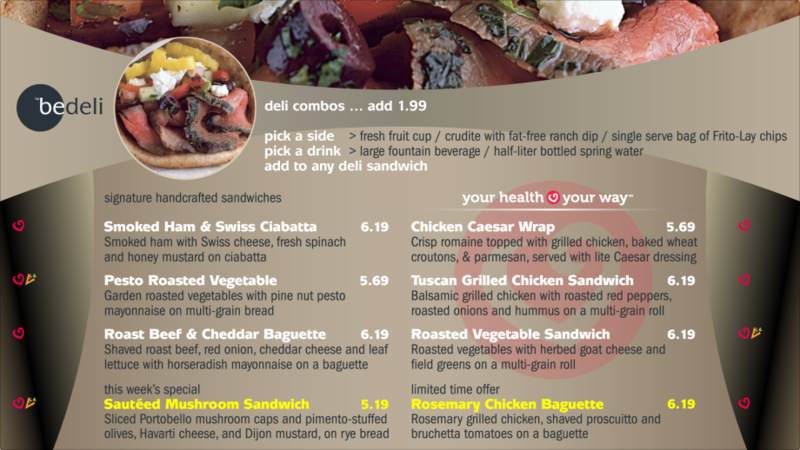 The Greeter board features daily menu specials, slide shows with and without captions, and a nutritional tip of the day.